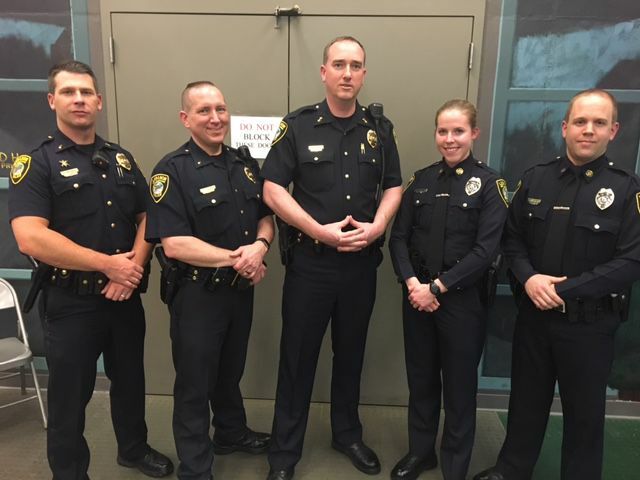 On Friday, April 21, 2017, Officers Eric Hunter and Emily Winslow graduated from the 172nd New Hampshire Full-Time Police Academy in a ceremony held at the Police Standards and Training facility in Concord. Officer Hunter previously worked for the New Hampshire Department of Corrections. Officer Winslow is a recent graduate of the State University of New York College Plattsburgh. The full-time New Hampshire Police Academy is 16 weeks in duration and consists of academics, physical fitness and hands on training. Recruits are instructed in various topics to include laws of arrest, search and seizure, motor vehicle law, along with many other classes such as dealing with those suffering from mental illness. Officers Hunter and Winslow are assigned to the department’s Patrol Bureau and will be completing their Field Training in the near future.